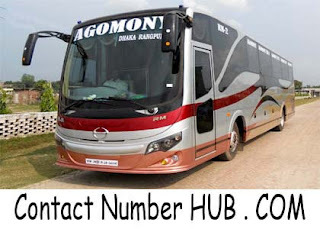 Agomoni Express is one of the popular transportation service providers in Bangladesh. This is a famous transport operation well known for the classic and aristocracy service. They are offering their services from Dhaka to Rajshahi, Dhaka to Rangpur and Dhaka to Bogra till date. Agomoni Express is widely popular and first choice for the visitors of Dhaka to Rangpur and Rangpur to Dhaka. It offers a safe and joyful journey for the passengers maintaining the accurate time and schedule. But, most of the passengers traveling to Agomony Express are unknown of their service details and contact information. Don’t worry; this content will make sure to know all details, including counter numbers, ticket prices and other important information. These are all about Agomoni Express all detail information. Stay connected with us for the further update about this service. If you have any question or inquiries, please contact us or comment in the following comment box, we shall try to resolve your inquiries as soon as possible. And finally thanks to stay with us to read the piece of writing with persistence. May your bus journey be safe and peaceful!